According to new research published by the Fancy Color Research Foundation (FCRF), one of the most overlooked facts concerning the diamond industry is that the world’s diamond mines are rapidly depleting. Within a quarter of a century the majority of the 45 most notable diamond mines operating today will cease to exist, and the last diamond will be unearthed in 60 years. According to the FCRF, diamond prices will rise as supply wanes. Fancy Color diamonds, considered to be the rarest of the rare, will increase in value at an even greater pace. The report states that no new ‘mega-mine’ is expected to be found in the foreseeable future. On the other hand, the world’s wealthy population is expected to continue to grow at a rapid pace and demand for diamonds is expected to rise. The result, according to the FCRF, is that the diamond industry will change beyond recognition. Manufacturing and related technology will slowly disappear. The “second-hand” diamond market will flourish. According to FCRF, the report should be an eye opener for diamond buyers and investors: “There is no reason why diamond buyers or anyone with long-term vision can’t start realizing an extra premium from this scarcity right now,” the report states. PRICE DOESN’T MATTER Traders hopeful as there are 109 auspicious days this year. Indian gold traders are hopeful that a record number of auspicious days for weddings this year will boost demand for the precious metal despite higher prices. As per priests, there are 109 days in 2019 when tying the knot is recommended, the highest in the last 20 years. Haresh Acharya, director of India Bullion & Jewellers Association (IBJA), told ET that though the demand is slow now, it is expected to go up as gold is an integral part of Indian weddings. “Higher number of wedding dates means that there will be higher purchase of gold,” he said. However, the rising price of the metal could cap sales. Gold prices have shot up by 6.31% in the last one month, rising to Rs 33,660 per 10 gm on Monday from Rs 31,660 per 10 gm on January 1. He added that demand for gold in rural India and among the middle class is expected to increase following proposals in the interim budget. Rural India accounts for 60% of the 800-850 tonnes of gold consumed in the country.“The relief given in direct taxes to the middle class and the sops announced for farmers will be good for increasing jewellery demand in the country,” said Padmanabhan. “The middle class will have more disposable income in their hands, a portion of which will come to gold. Gold remains an important asset class among farmers.”The government proposes to provide direct income support of Rs 6,000 per year to landholding farmer families with cultivable land of up to 2 hectares.Vaibhav Saraf, director of Aisshpra Gems & Jewels, which caters primarily to the rural market, said farmers will be able to buy better raw material and this should lead to better yields. “This will improve their financial position and they are expected to have more disposable income. We cater to the agricultural market and, therefore, it will impact sales positively,” he said. Jewellers accuse harassment by Govt officials ahead of Diwali. The All Indian Gem and Jewellery Domestic Council (GJC) has condemned the "harassment" of jewellers by government officials prior to the auspicious Diwali season, here on Monday. The GJC is the national industry trade federation with over 400,000 members who command a workforce of over 10 million with a turnover of 2.51 lakh-crore. The removal of gem and jewellery from the ambit of the Prevention of Money Laundering Act has come as a big relief for the sector which is reeling under the twin impact of demonetisation and GST. Following the move, jewellers need not verify the identity of their clients by a KYC process for every transaction of 50,000 or more made through a single or multiple transactions. The move will boost gold jewellery demand during the festival season — particularly in rural areas. The All India Gems and Jewellery Trade Federation, the nodal trade body for the promotion and growth of trade in gems and jewellery across India, had made a series of representations with the Financial Intelligence Unit, Directorate-General of Goods and Service Tax Intelligence and NITI-Aayog highlighting the various concerns of the industry. 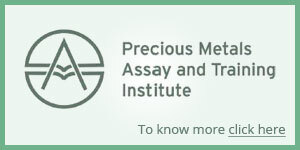 In August, the Central government through a notification, directed dealers in precious metals, precious stones and other highvalue goods having a turnover of 2 crore in a financial year to be notified as persons carrying on designated business and professions under the Prevention of Money Laundering Act, (PMLA) 2002. As a consequence, various compliances under the PMLA were required to be undertaken by the gems and jewellery sector, which was to be overseen by the Directorate General of Goods & Services Tax Intelligence. Nitin Khandelwal, Chairman of the Federation, said over the past 20 days the association had met each and every department and key personnels in the government with the support from various associations and chain store owners. With the new relief, the industry looks forward to good business during the festival season. Harpreet Singh, Partner, Indirect Tax, KPMG in India, said the relaxation for gem and jewellery industry would encourage free trading in the sector, without any apprehension of KYC compliances in the mind of the customer. This is one key sector which was adversely impacted post GST and hopefully the new decision should bring the smiles back on traders’ faces, he added. The Gem & Jewellery Federation (GJF), the apex body of the jewellery trade, plans to apprise the government that implementation of KYC under the PMLA Act, 2002, would be a “big challenge” as it reduces the threshold from the present 2 lakh to 50,000. Sources in the trade claim that reducing the KYC threshold could drive part of the trade to unofficial channels on fears of harassment at the hands of authorities. “We will appeal to the government early next month to reconsider the KYC threshold limit under PMLA, which is too less,” said Nitin Khandelwal, chairman, GJF. “The PMLA law deals with issues of laundering for terror funding, etc., whereas sale of jewellery is a commercial transaction with patrons being mostly women from rural and semi urban areas. Our concern lies in how this law will be implemented and its impact on customers.” The government on August 23 notified PMLA provisions for the gems and jewellery sector. Currently, jewellers ask the customer for a Pan card on sales of 2 lakh or above. For sales above 50,000 they take a photo- Id proof of a government issued document. Under PMLA, they will have to take Pan or ask the customer to fill in Form 60 in case she is not eligible to be assessed for tax -- earns . 2.5 lakh or less annually. This will have to be submitted to the Enforcement Directorate, which administers PMLA. “Where Pan is available, there’s no issue, but if I have to keep getting customers to fill Form 60, how will I focus on business,” asked Amit Modak, CEO, PN Gadgil & Sons, whose 19 outlets across Maharashtra, Gujarat and Karnataka cater mostly to customers from tier-2 and tier-3 cities. “Most of these people don’t have Pan and we currently ask for photo ID proof for purchases above 50,000.” Holders of Pan stand at 29 crore while 117.4 crore citizens out of around a 130 crore hold Aadhaar cards. The government is gradually increasing regulation on the gold trade on apprehension that a significant amount of black money was being funnelled into bullion and jewellery, said sources. This happened during the demonetisation last year when jewellery and bars sold for steep premia. The first step was introduction of excise on jewellers in April last year, followed by imposition of 3% GST, more than the 1% each of VAT and excise in July this year and now the extension of PMLA to it. Gem & Jewellery Skill Council of India conducted its 2nd Annual one week Yoga workshop celebration, with an aim to create awareness amongst SEEPZ employees about the benefits of Yoga. The workshop was inaugurated on 19th June 2017 and was conducted till 23rd June 2017, under the expert supervision of Isha Yoga Foundation. The activity saw a gathering of more than 1500 from the gems & Jewellery industry. This initiative of GJSCI aims to educate people about benefits of yoga and encourage them to make it a part of life in extension to the vision of our Honorable Prime Minister Shri. Narendra Modi. United Nations had declared 21st June as International Yoga Day with an aim to introduce yoga at a Global level owing to its multiple benefits. The Chief guests present on IDY-21ST June ’17 at the event were Mr. Premkumar Kothari (Chairman - GJSCI), Mr. Pravin Chandra (Joint Development Commissioner) & Mr. Mahesh Yadav (Deputy Development commissioner) Yoga consists of more than physical wellness. It is a holistic approach towards life which helps in rejuvenation of both mind and body and enables self-actualization. The word Yoga derives its origin from the Sanskrit word ‘Yuj’ which means ‘to integrate or unite physical body and spirit’. This approach encompasses spiritual, physical, mental discipline which enables an individual to amalgamate his/her thoughts, words and actions. This initiative by GJSCI is dedicated towards the benefit of members of gems & Jewellery industry to understand and embrace Yoga as a part of life. The gems and jewellery industry on Saturday welcomed the Centre's decision to keep the goods and services tax rates (GST) for gold at 3 per cent, which is almost in the same range being levied by most of the states at present. While most of the states have been levying between 2-2.5 percent tax on gold purchase, Kerala is the only state which has a tax rate of 5 percent. "This is a landmark day for the jewellery sector as the government rightly kept the overall tax burden low in the industry, keeping in mind the unique characteristics of the gems and jewellery sector, the 'kaarigars' and small jewellers," All India Gems and Jewellery Trade Federation (GJF) Chairman Nitin Khandelwal said in a statement. He said this GST rate would help the gold and jewellery trade and it would mature as an organised sector in the years to come. "In fact, this move will encourage the industry to become more organised and transparent," Khandelwal said. The GST Council at a meeting on Saturday decided to tax gold at 3 per cent as part of the proposed GST regime. Meanwhile, World Gold Council Managing Director, India, Somasundaram PR said GST is the single biggest indirect tax reform in India and is intended to bring transparency, increase tax compliance and improve transaction traceability. "The government's decision to apply 3 percent GST on gold is an encouraging step in the current context to stabilise the industry and address the concerns of the millions employed in the industry," he added. However, he said, with 10 percent customs duty the total tax on gold is still high and will continue to have an impact on the jewellery industry. "This may be an opportune time for the government to cut the import duty and bring down the total tax on gold significantly lower so unauthorised imports are totally eliminated and industry embraces transparency in letter and spirit under GST," he said. India Bullion and Jewellers Association (IBJA) Director and PNG Jewellers CMD Saurabh Gadgil said the declaration of GST for the gems and jewellery sector at 3 percent for gold articles and polished diamond and 0.25 percent on rough diamond is very positive move by the government. "It will boost the organised players and trade, it is also a boon for the consumer and the government will also benefit as more and more players will become organised by complying to GST. We feel it is a win-win (situation) for everyone," added Gadgil. Kerala-based Kalyan Jewellers Director Rajesh Kalyanraman said the industry welcomes the 3 percent GST, however, 2 percent would have been better. Currently, the industry pays taxes around 2-2.5 percent so 3 percent is almost as good as no impact by the taxes, WHP Jewellers Director Aditya Pethe said. "Majority of the gems and jewellery sector is unorganised and a lot of players are in the rural regions too. With this taxation, many unorganised players will be encouraged to enter the organised trade. Overall, the bill does not seem to have an inflammatory impact as most of the rates are revolving around the current tax brackets," he added.